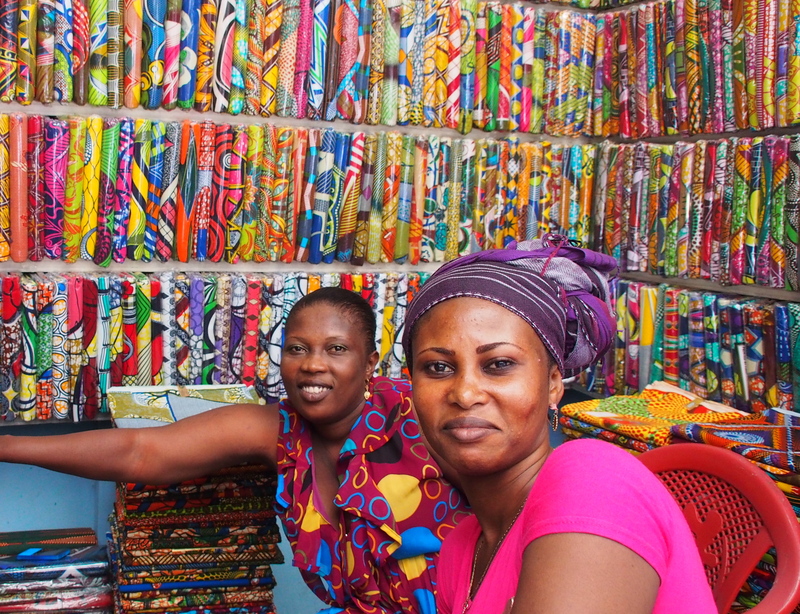 Almost everyone in Ghana wears their hair in braid with fake hair extensions or even wears wigs. It took us ages to realise that everyone had fake hair! 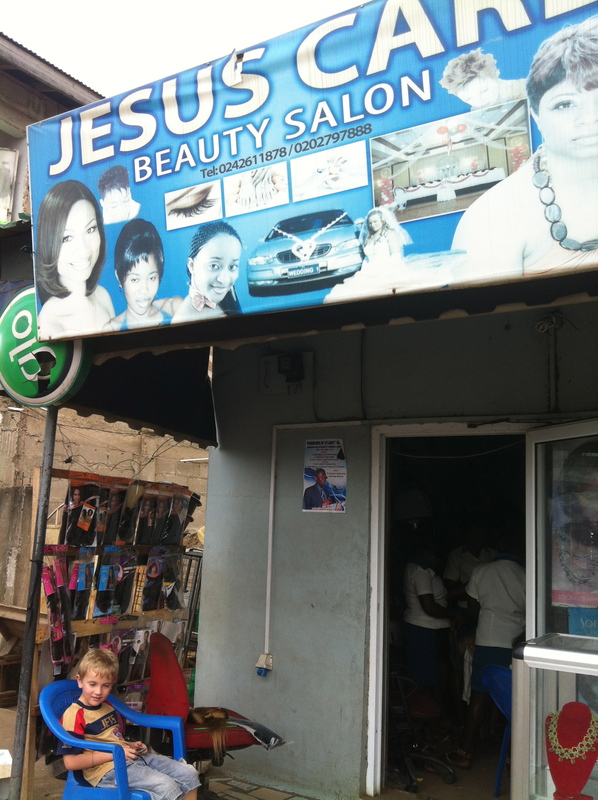 There are hairdressers on every corner. 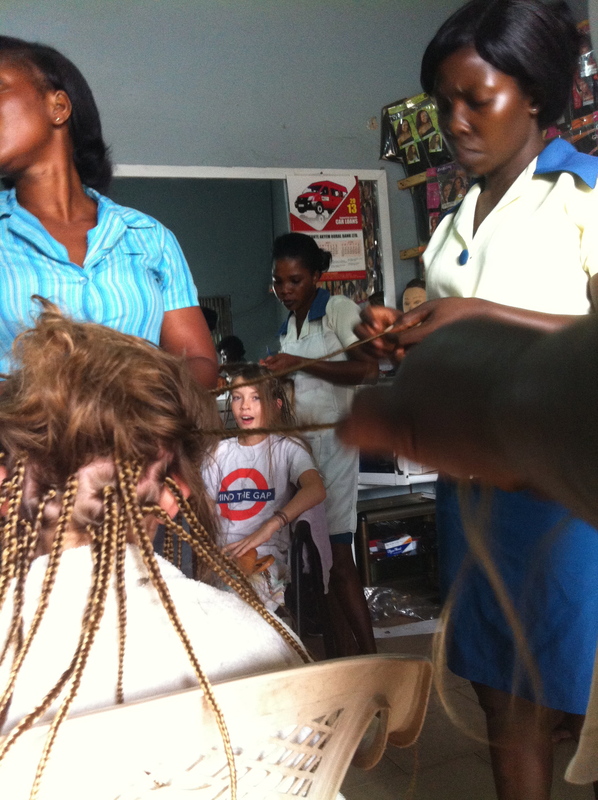 A week before we left for Australia we decided to get our hair done – Ghana style! 1. Go to a hairdresser’s. Make sure it has lots of fake weave out the front of it. 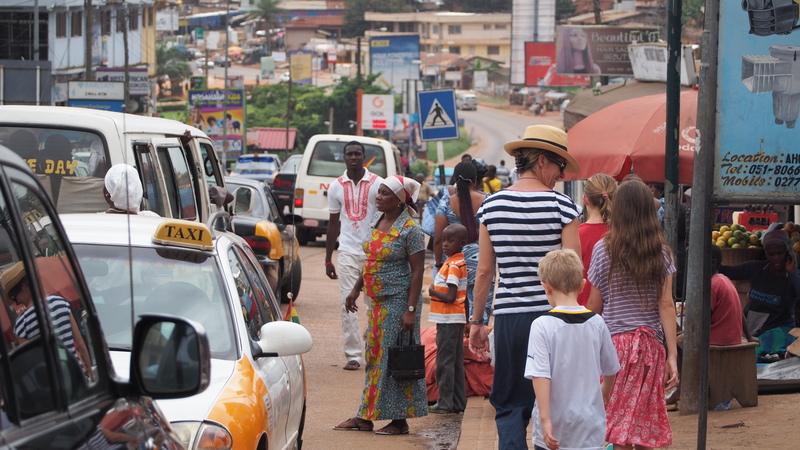 We chose ‘Jesus Cares’ in Konongo. 2. Go in and tell the ladies working there what style you want. Choose the colour of weave-ins you want. I chose as close to blonde as I could. I wanted purple, but there was none. 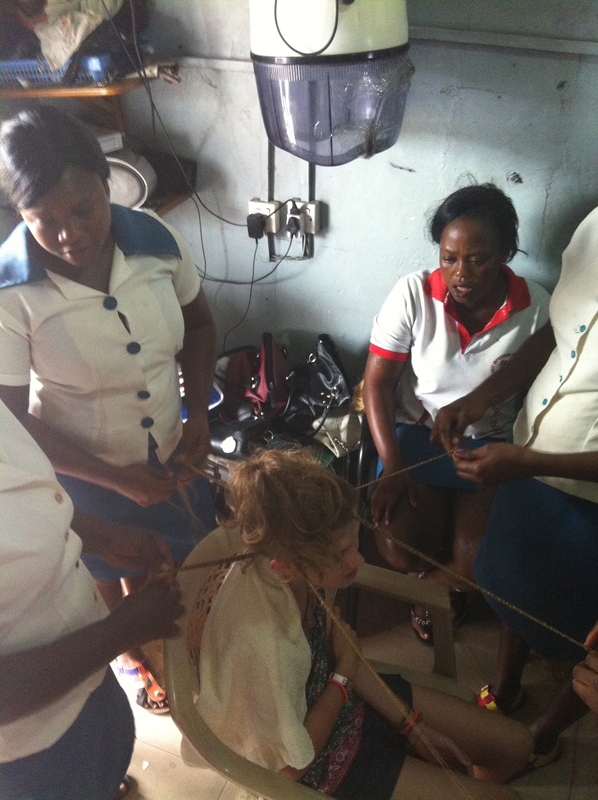 3.Then you sit patiently as they plait all the weave-ins into your hair (this can take up to 3 hours). It hurts a lot. I had 5 ladies plaiting my hair and it look over two hours!! My sister just had her regular hair braided with no weave-ins. 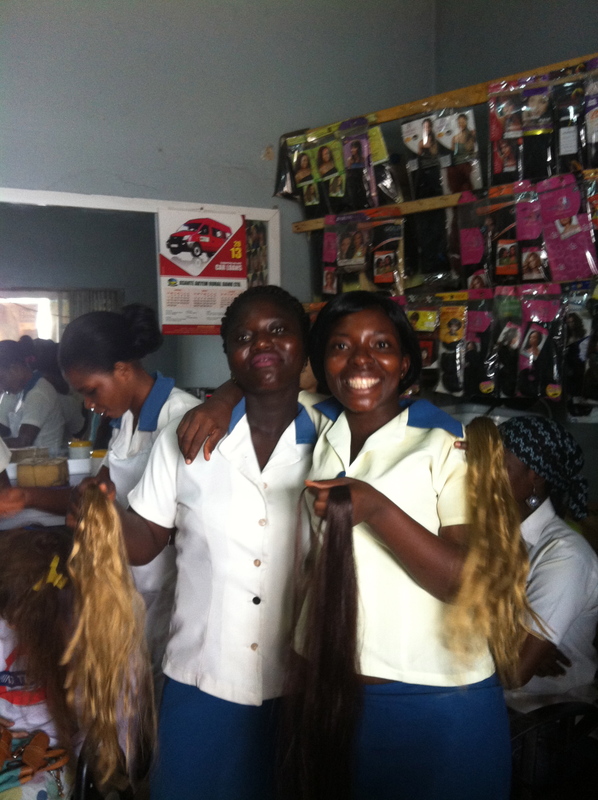 4.When you have your whole head braided, the hairdressers snip off all the wispies. 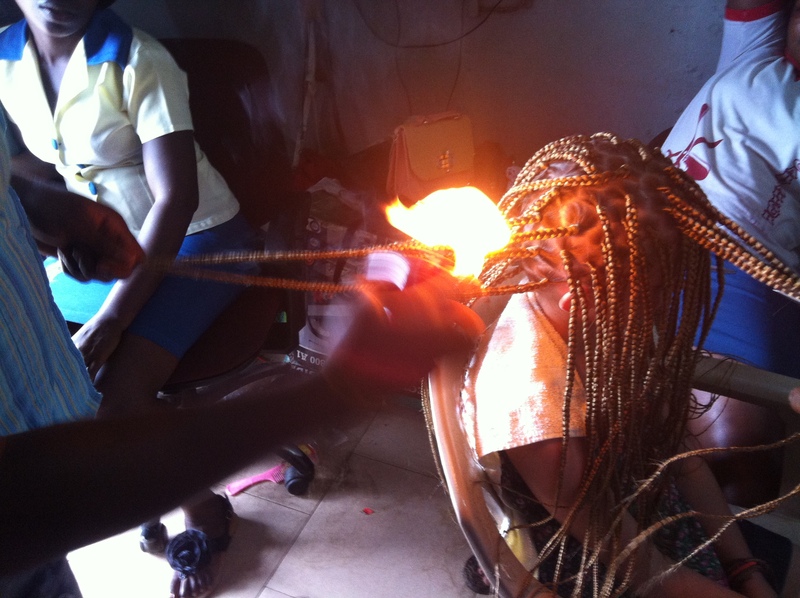 After they have cut off the large wispies they set fire to your hair to get away all of the smaller ones. It was really weird. 5. After the fire they pour boiling water over your new hair so it does not smell like fire. The fire and the boiling water makes your new hair melt together and not fall out. After the fire the water felt like a nice relaxing bath. 6. Now you have waist length hair. It only takes a few hours and not years to grow! 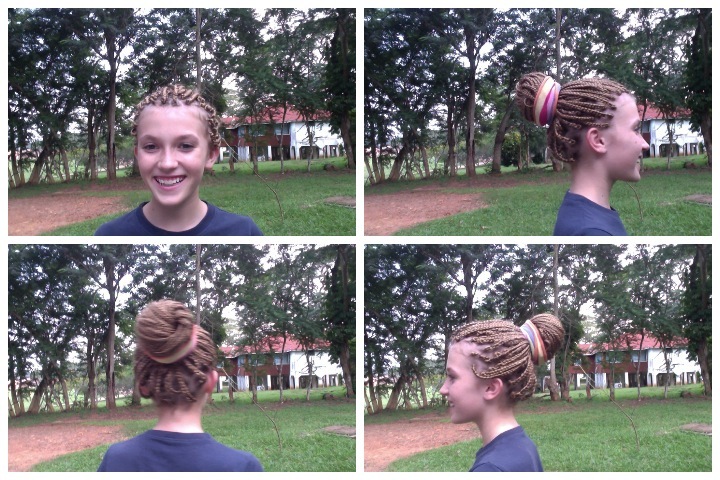 So if you ever come to Ghana, make sure you get your hair done Ghana style. 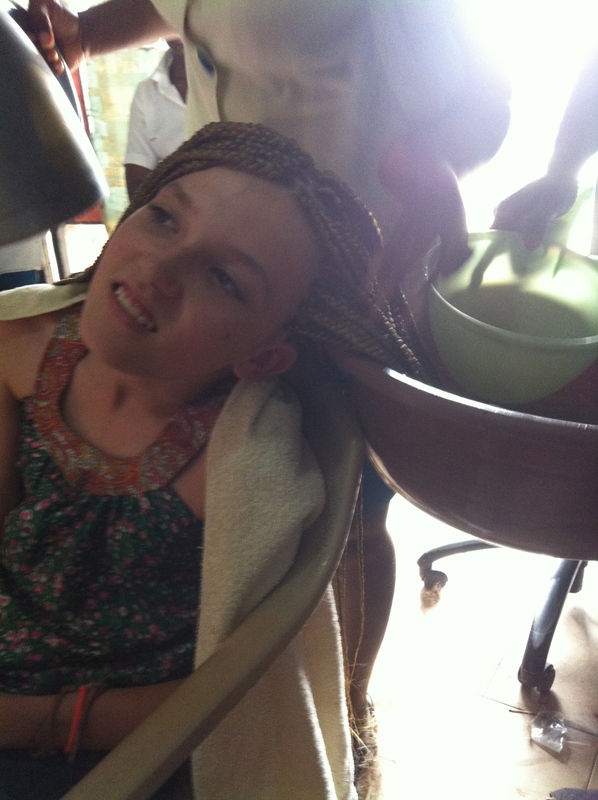 Ouch, you dont really have to sit through a painful braiding session. If you ever have it done again tell the hair dressers to do it loosely. It will still stay in and also ask for the extensions not to be burnt as because it is synthetic, it pulls at cardigans or scratch your skin. How interesting…….now this was fun reading but i am a bald guy. The hair direction won’t help me much..mother nature took care of any and all hair issues i had or would have for when i visit Ghana. The girls in gonna are cute. Nice skin. Thanks for the experience and pics. Cecily, you look beautiful with your hair like this. I think so too!! Too cute! !